Fall is my second favorite season, behind Summer and I have been anxious to create some Fall decor! 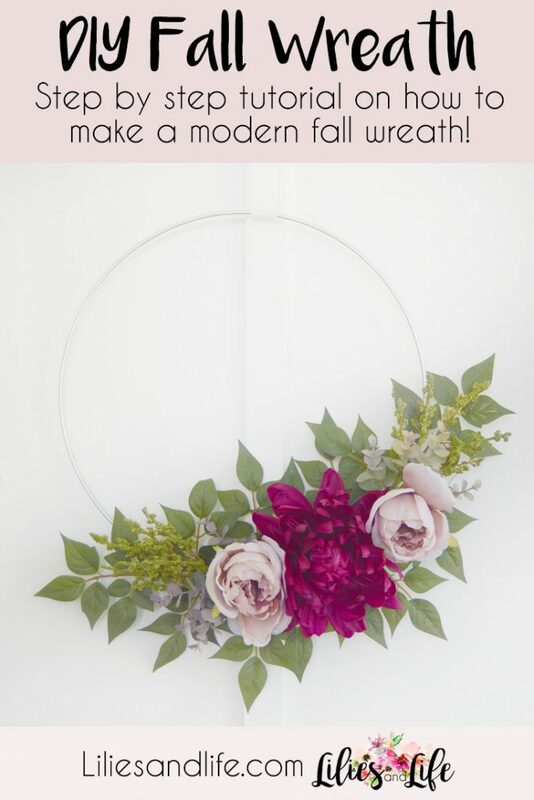 I thought a wreath was the perfect craft to get me in the Autumn mood and wanted to show you how easy it is to create a modern Fall wreath. 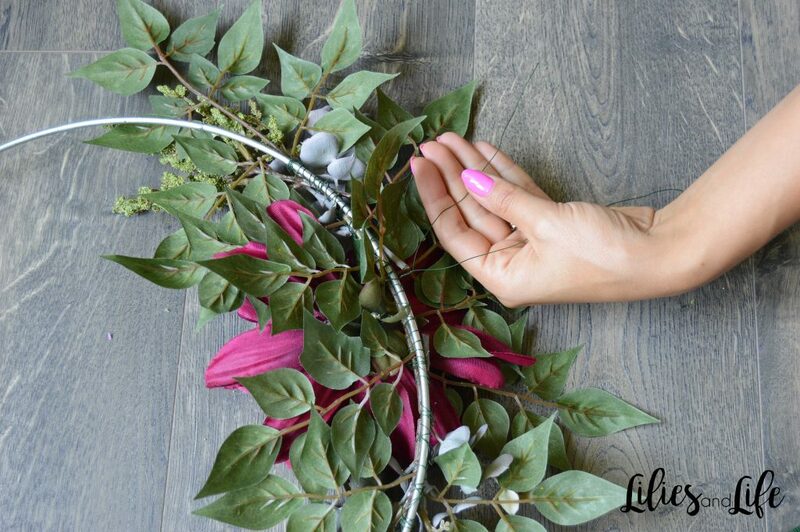 Cut the long stems off of the large greenery with the wire cutter and then use the floral wire to secure the greenery to the floral hoop. 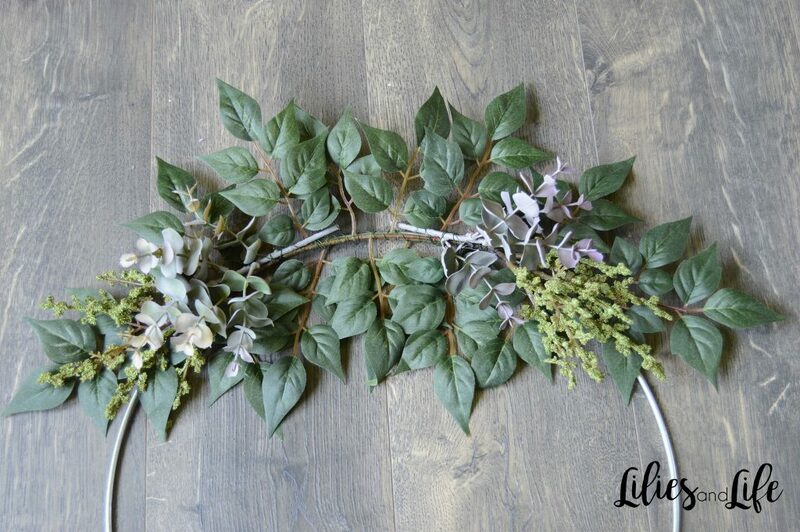 Attach the second piece of large greenery by overlapping the first piece of large greenery. 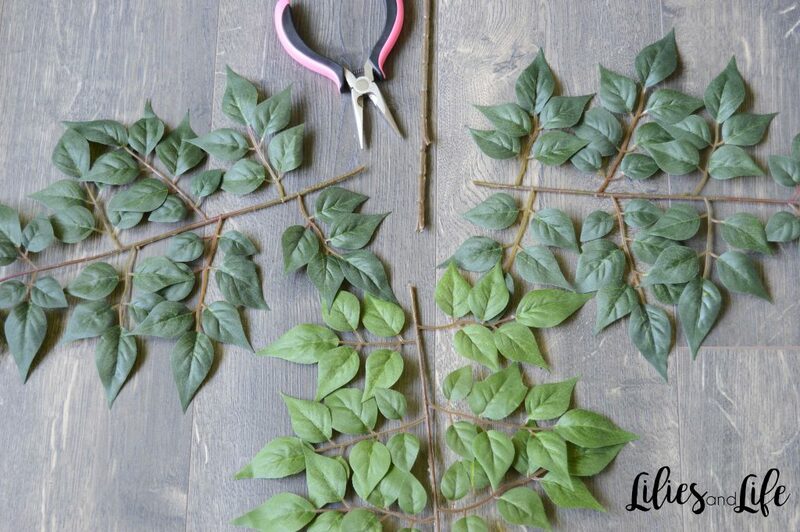 Use the wire cutter to cut smaller pieces of filler greenery. 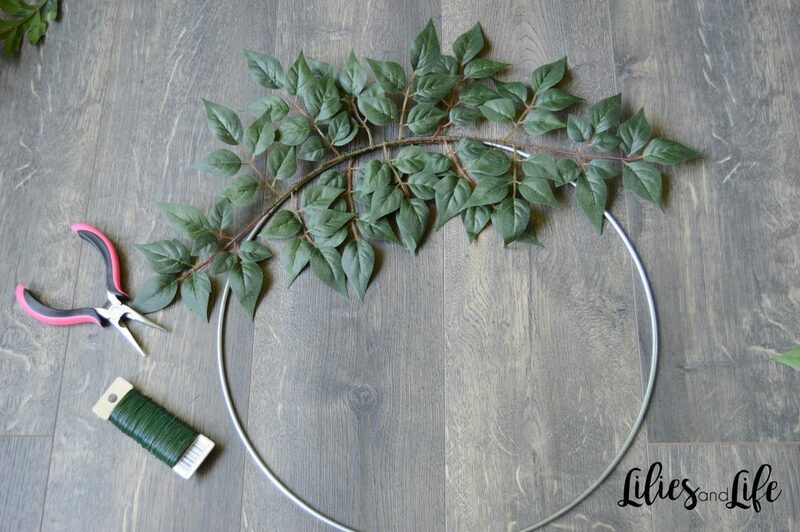 Then use floral wire to wrap the smaller greenery to the floral hoop on top of the larger greenery. 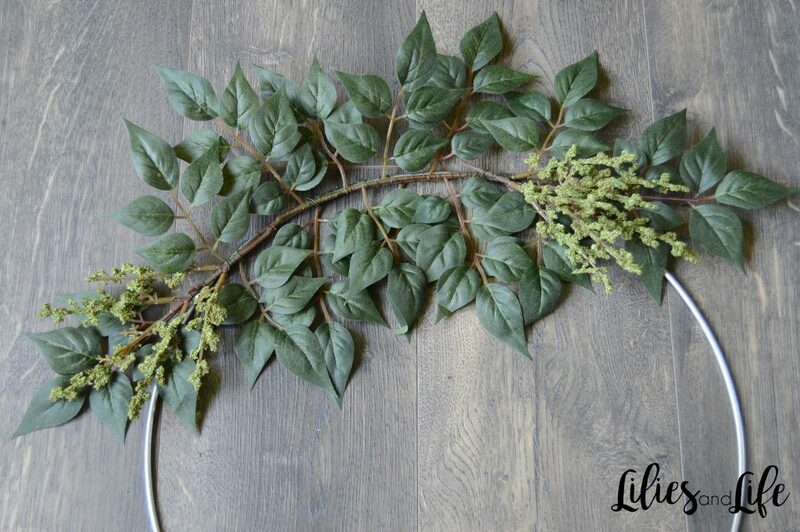 I chose to add faux eucalyptus to the wire wreath on top of the greenery. 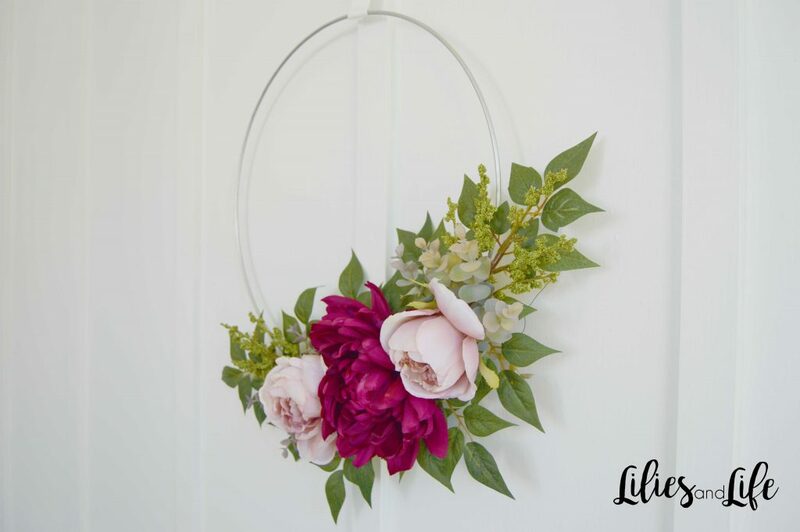 Secure with floral wire. 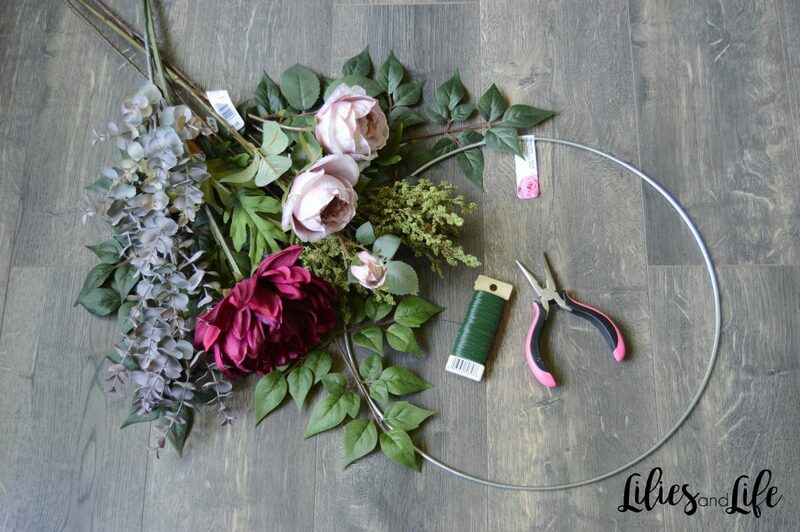 Use the wire cutter to cut the long stems off the larger flowers. 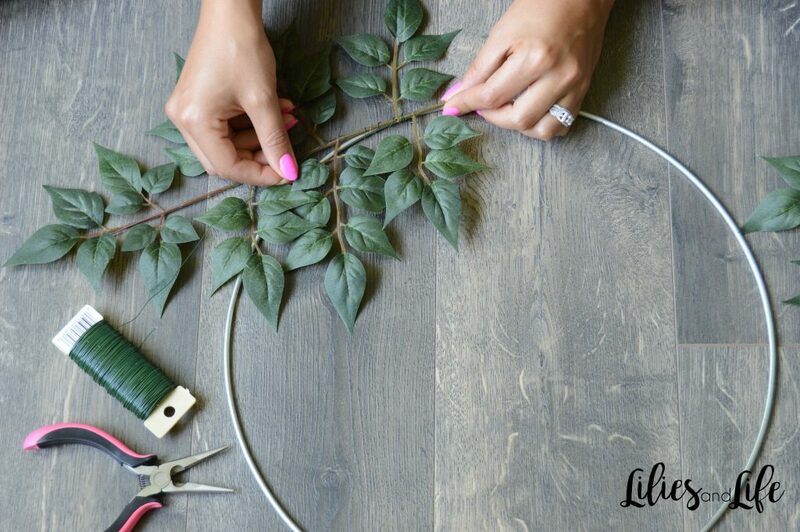 Wrap the wire around the green base of the flower, almost like creating a “wire stem” like the picture below. 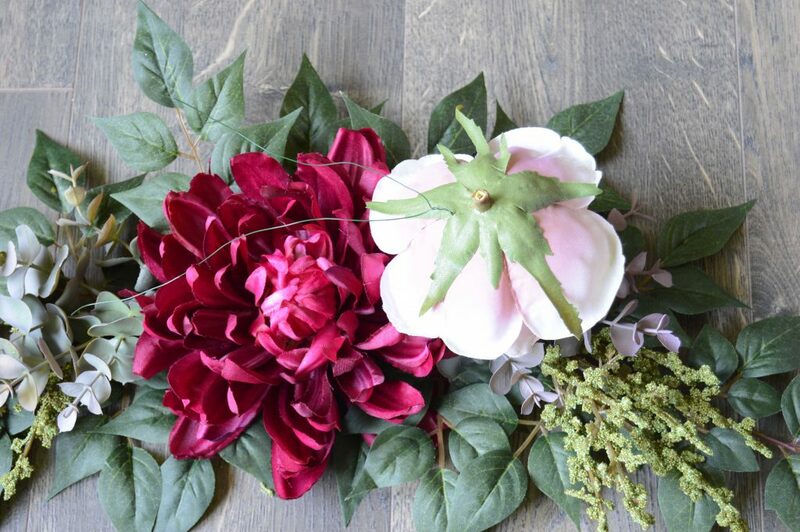 Attach the flower on top of the greenery from behind. 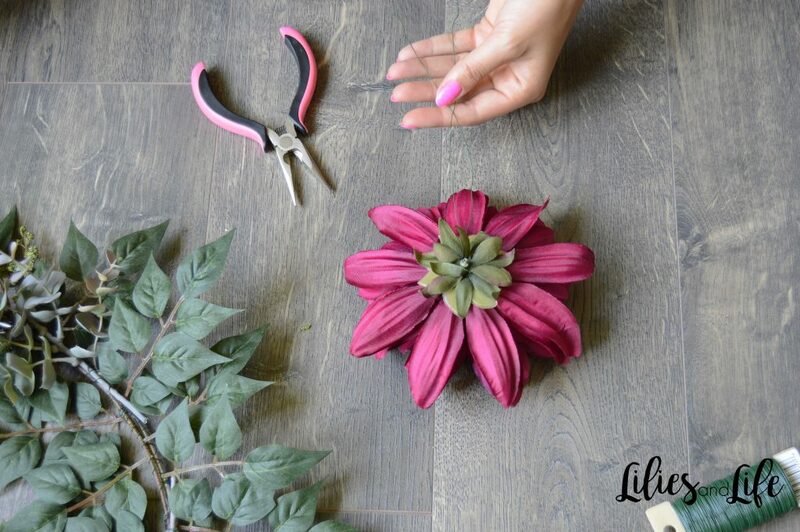 Use the same technique to add the last two flowers. Tah Dah!! 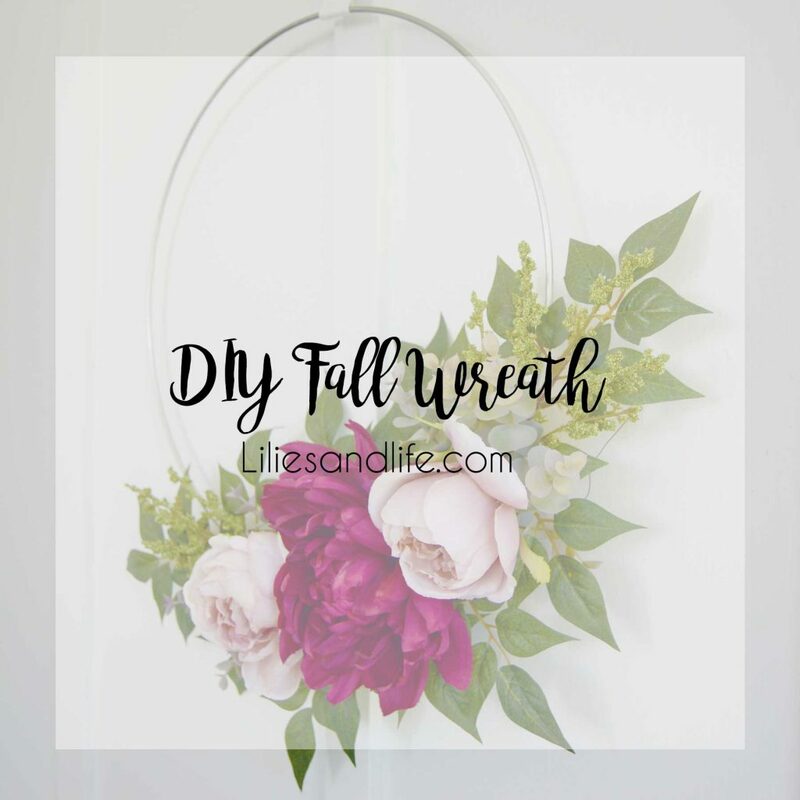 You have yourself a Fall wreath! 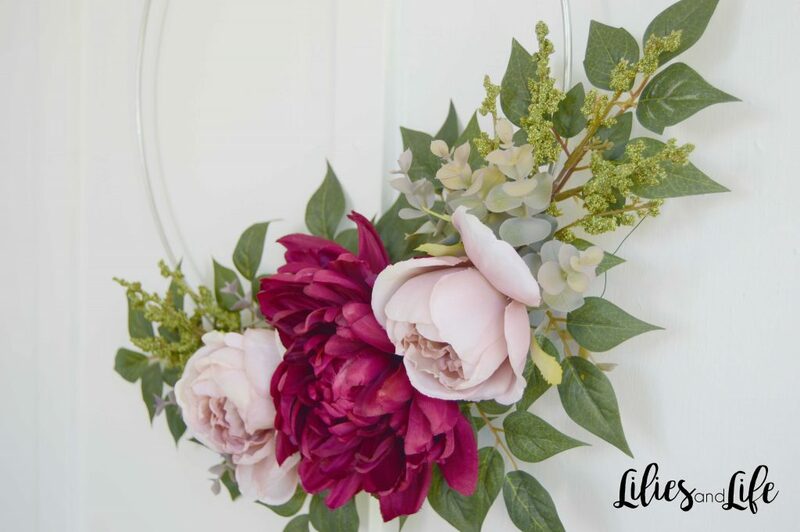 Thank you for sharing this DIY. 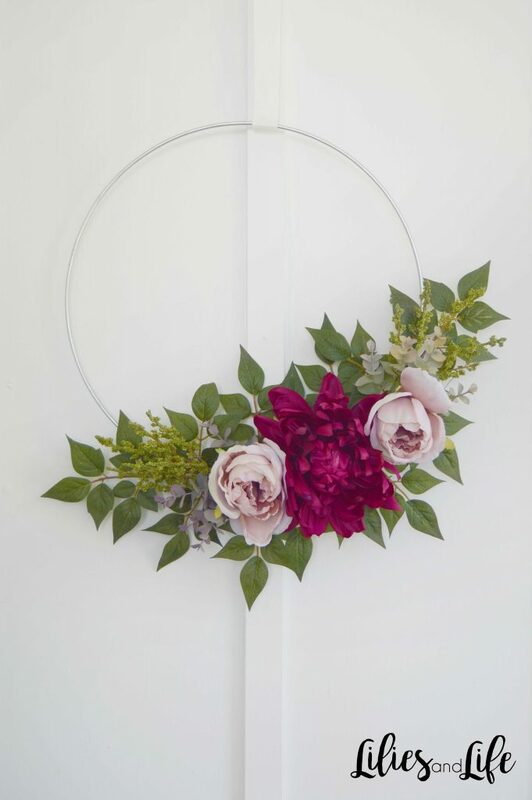 Searching pinterest for another special wreath for our renewed living room. And this is exactly what i was looking for. Perfect. Thanks for the explanation.